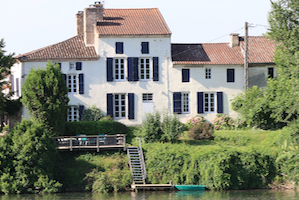 Les Séchoirs, in the heart of Aquitaine, dates from the late 18th century and offers rental cottages / villas in south west France providing high quality self-catering holiday accommodation directly on the banks of the beautiful river Lot. Each of the cottages has been carefully refurbished and equipped to offer a real home from home in a stunning setting yet having the comfort and facilities that you would expect for a memorable self catering holiday. This video will give you a good feel for Les Séchoirs, its facilities and proximity to the river Lot. There are two cottages : Les Pêcheurs (sleeps 5) and Les Tabacs (sleeps 4-6) each with similar levels of comfort and facilities. Please read what what our guests think of Les Séchoirs. Please read the reviews. Les Pêcheurs has a good size kitchen / diner and living room with two large bedrooms and offers direct access to the riverbank, terrace, fishing pontoons and swimming pool. There are two bedrooms; one a double with a super-kingsize bed and the other with three singles; 5 people in total. Offering more living space, Les Tabacs offers ground floor accommodation for 4-6 people. 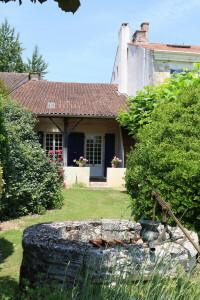 Importantly, Les Tabacs enjoys a private fenced garden making it secure for both small children and guests who wish to bring their (well behaved) dog. It has a master bedroom with double bed plus a twin bedroom and a double sofa bed. Outside there is a private terrace plus easy access to the riverside terrace, fishing pontoons, gardens and swimming pool. Holiday Cottages South West France. Each cottage / villa comes equipped with everything you need for your stay including cooker, family size fridge, microwave, dishwasher, and the use of a laundry room with washing machines and drier. In addition there is a TV with international (UK and European) stations and a stereo music unit. Broadband W-Fi is available within each gîte, which is also beamed around the grounds pool area. For children, including babies, we can offer the complementary use of a Moses basket / crib; a baby cot; plus we have a high chair. Please request at the time of booking so that these may be reserved for you. Each guest is provided with fresh linen and towels (which are changed weekly) plus a ‘beach towel’ for each person to use around the pool. Outside, there is a BarBQ for your use together with table and chairs. In addition there is use of the large infinity swimming pool (shared with other guests) which is filled with fresh spring water plus a boules pitch and a badminton set. Guests may use a rowing boat but this is entirely at their own risk. You may reserve a boat at the time of booking or during your stay – subject to availability. There is ample free car parking space available at Les Séchoirs and, for motorcyclists, garage parking. 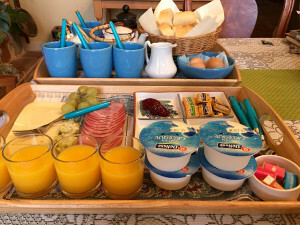 Our guests are delighted that we have a Carrefour supermarket just 300 metres away, which is open from 08:00 – 20:00 six days per week and also on Sunday mornings from 09:00 – 12:30. Attached to the supermarket is a petrol station which is open 24×7. If you need a greater range of shops and facilities there is Tonneins just 5 miles (8km) away with a good range of supermarkets and commercial outlets including both Leclerc and Lidl. 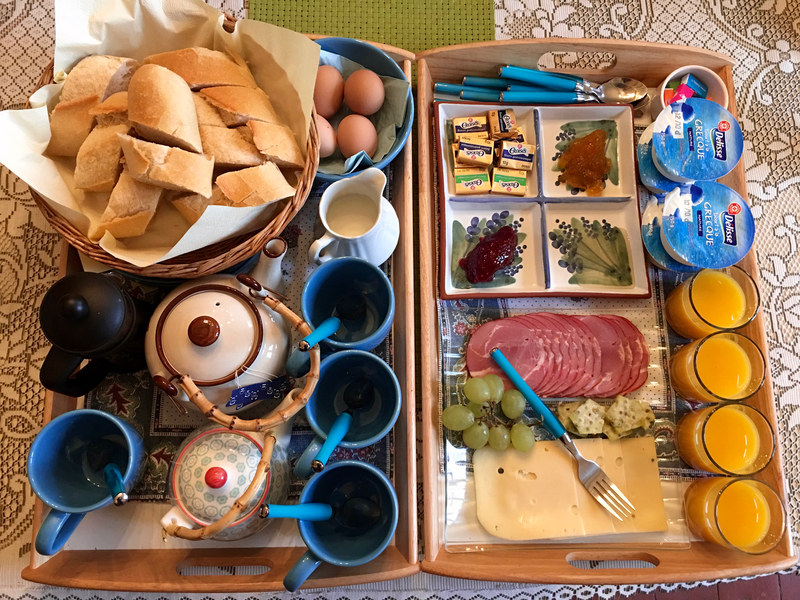 There are many options for eating out; and all within easy walking distance from Les Séchoirs; a real advantage meaning that no one is required to drive. We have produced this information pack which we think you will find useful. Breakfast is optionally available to our gîte guests at a supplementary charge of €7.50 per person. Rentals in high season are normally for complete weeks (7 nights) starting Saturday from 16:00 to the following Saturday until 10:00. Your cottage will have been cleaned and all items checked prior to your arrival. Please ensure that your cottage is in the same condition upon departure otherwise a supplementary cleaning fee of €75 will be charged. Everything you need for your stay is provided; namely bed linen and towels; crockery and cutlery; fully fitted kitchen and appliances; cooking and lighting gas and electricity included; complementary WiFi. In the cooler months, guests will be charged €10 per day to cover the addition cost of heating and / or fire wood. See the descriptions of the individual gîtes for a fuller description – Les Pêcheurs and Les Tabacs. For shorter stays in low season, please contact us. Our full terms and conditions should be read and agreed when making a reservation. 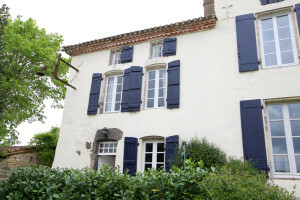 Holiday Cottages South West France.